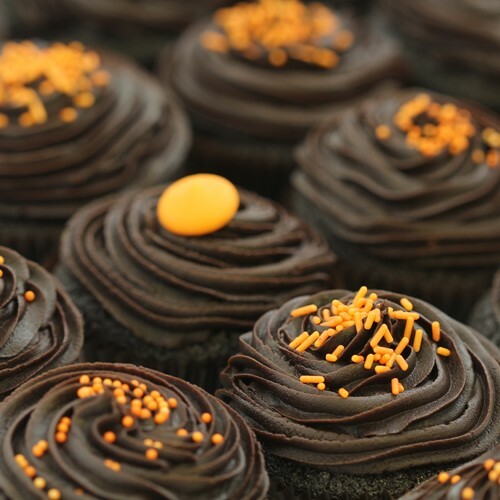 Deep, dark chocolate sponge with a thick layer of chocolate orange frosting, embellished with a striking array of orange sprinkles - style and substance in every cake. The only problem you will have is whether you can share them or not as they are devilishly scrumptious! 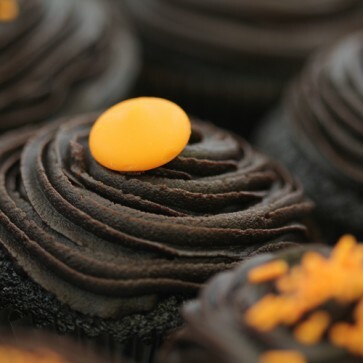 Who can resist the devilish combination of tangy orange and intensely rich dark chocolate? Not only will these be hard to share but they will not last long on the plate. Incredibly moreish not to mention delicious, these chocolate orange cakes add zest to your palette and become the core of a well earned gossip with your friends. Bite into the super soft chocolate sponge, letting the sweet tang of the orange flavoured buttercream flood your taste buds with pure pleasure that will leave you reaching for more. 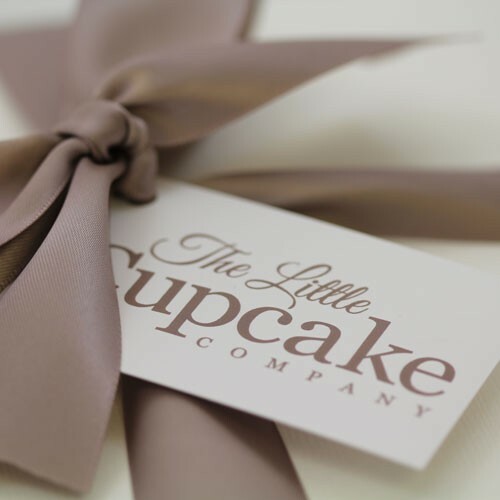 Brighten up any event with a box full of these treats and you’ll be asked for seconds.